Join the museum every Saturday at 10 AM for Family Science Saturdays and explore the world of science! In June, we will be examining the geology of New Mexico through maps and investigating the process of chemical reactions! Registration is not required and the program is free. Are you baffled by those colorful geologic maps? Would you like to know just what all those colors and symbols mean? On Saturday, June 21, we will answer these questions and more and soon everyone will be able to read these maps with ease! Get messy with the museum on June 28 as we delve into chemistry and discover the difference between a chemical reaction and a physical reaction. 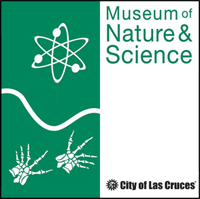 The museum is located at 411 North Main Street and is open Tuesday through Saturday from 9:00 a.m. to 4:30 p.m. For additional information, visit the website at: www.las-cruces.org/museums or call (575)522-3120.